South Korean authorities are investigating whether Heather Cho's nut rage incident broke aviation safety regulations. Former Korean Air VP Heather Cho is currently at the center of a scandal that started with a bag of macadamia nuts. Cho just resigned her VP post this weekend over the fallout from the macadamia incident. It’s a story filled with outrageous behavior. Cho is the daughter of the Korean Air CEO and chairman, and some of her duties at the airline included overseeing in-flight service, according to Quartz. It went down like this: Cho was in first class on a flight from JFK to Incheon. 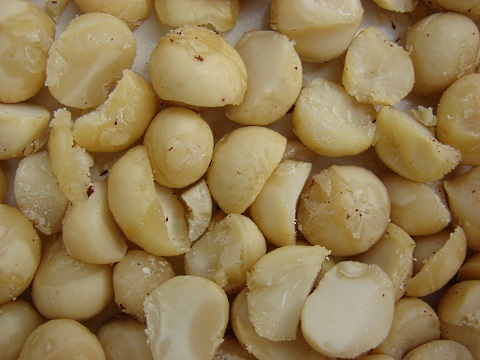 A flight attendant served her some unrequested macadamia nuts in a paper bag. Then all hell broke loose. Why? We’re so glad you asked. Current protocol for nut-serving in first class apparently states that first-class passengers must first be asked if they even want nuts. Also, if they do want nuts, said nuts are only to be presented to first-class passengers on a plate, not in a lowly paper bag. Exact words that were said are unclear, as is always the case in such situations. What we do know is that the flight was delayed by 11 minutes, according to Korean Air Lines. The reason? Cho was so offended by those inappropriately served nuts, she actually ordered the plane to be returned to the gate so she could kick the head of the service crew off the plane. For real. Cho resigned from her duties and issued a formal apology for her behavior over the weekend. However, South Korean authorities have since learned two new things that may lead to eventually arresting her over that bag of nuts. Those authorities have been speaking to witnesses over the weekend. Korea Joongang Daily reports that both the head of the cabin crew and a witness who was seated in front of Cho in the first-class cabin said that Cho became violent toward a flight attendant during her bout of nut rage. As of now, the prosecutors’ office is currently verifying whether the return to the flight gate was indeed forced by Cho. Cho then allegedly rolled up the manual, threw it at the offending flight attendant, and then ordered the head of the cabin crew off the plane since he was the one in charge. Since news of the incident broke, South Korean media has unsurprisingly been full of stories about corporate nepotism run rampant. Every time we read a story like this, our minds are blown all over again.